One of our concerns here at Conceptual Options is whether or not we have provided enough information to a prospective egg donor when she contacts our office. In response to these concerns, we included information on our site that will help women of all ages understand the Conceptual Options’ Egg Donation Process. In addition, we have also included Informational Egg Donation Videos and informative Egg Donation Newsletters that help explain to what it actually takes to become an egg donor and how to explain your decision to others. Feel free to contact our office directly or via our website at the Egg Donor Application. Let us know what you think! Medical researchers called on Wednesday for detailed, thoughtful debate on future use of new genetic technology that has the potential to create “designer babies”. The technology, called CRISPR-Cas9, allows scientists to edit virtually any gene they target, including in human embryos, enabling them to find and change or replace genetic defects. Describing CRISPR as “game-changing”, the Wellcome Trust global medical charity and four other leading British research organisations urged the scientific community to proceed considerately, allowing time and space for ethical debate. “This raises important ethical and regulatory questions which need to be anticipated and explored in a timely and inclusive manner,” they said in a joint statement. No matter how this all plays out, a discussion is an important part of any new technology. Read more here about Gene Editing & the Potential for Designer Babies. Many women in China are in a outrage over the Chinese government’s ban on egg freezing for single women who want to preserve their fertility. As they rightly should be, if you ask us. If only it were equally simple for women in China to store their eggs—a hot topic since local media reported on several celebrities who, concerned about their age or the quality of their ova, have had their eggs frozen to allow them to delay motherhood. Of particular concern to Chinese women: The celebrities traveled abroad to escape strict laws on egg freezing; in China, married women face many restrictions on freezing their eggs, and the process is entirely closed to single women. Interesting discussion on the concept of egg freezing, and one that we are also dealing with here in the US on a different level – not one that includes a ban, but one that questions if a woman should delay childbirth for her career. 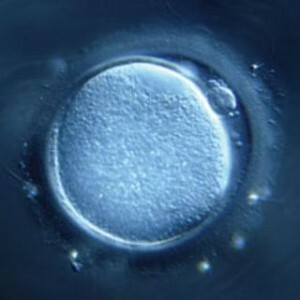 Read more here about China’s Ban on Egg Freezing. Conceptual Options Egg Donation News: Considering Egg Donation? With the increase of the use of egg donors for helping couples/women/men create their families, we thought it would be helpful for women considering egg donation to read the following information from the Colorado Center for Egg Donation. If you are considering becoming an egg donor for an infertile couple, you should be aware of certain risks that it might bring to your health and well-being. It is of course a rewarding experience; however, the egg donation process takes several months and includes time consuming appointments with the doctors, the staff, therapists and counselors. The medical procedure that follows could turn out to be uncomfortable physically and brings about emotional turmoil to the donors. The process is tiresome. Some good egg donation centers are upfront and are willing to answer to the queries raises by the applicants. If you are thinking of becoming an egg donor, understand that there is a specific criterion such as specified age range, good health, non smoker and suitable weight that must be met. The screening process involves several steps in order to verify if the possible donor fits the required portfolio and are healthy enough to undergo through the procedure. However, there are other aspects of the process that must be considered. Physical exam that includes submission of blood test and cervical cultures. This initial medical examination is mandatory to screen for any inheritable diseases or disorders. The ability to pass a physical exam determines if the applicant will be able to develop and carry the eggs without problems. The candidate must also pass a psychological test usually administered on a computer. The examination also includes evaluation by a psychologist to provide the patient with detailed information of mental stress that could be involved with the entire process. This also helps the doctors to understand if the possible donor will have the mental capacity to take on the commitment. The donor must maintain a flexible routine so that weekly appointments could be scheduled. During these visits, blood test is carried to check the health of the donor and their reaction to the prescribed medications. The procedure also requires self inject medication to stimulate growth and health of the eggs. Prior to beginning an egg donor cycle, we suggest egg donors to discuss the potential risks and side effects involved with a fertility physician. Read more here if you are considering egg donation. As we discussed here almost six months ago about Dolce & Gabbana’s comments against IVF and Surrogacy, Domenico Dolce caused a stir, with celebrities such as Ricki Martin, Elton John and others calling for a boycott of the company. Elton John even started a hashtag of #boycottDolceGabbana. Hmmm….baby labels? Well, we certainly hope that he continues on his journey to understanding. Read more here about Domenico Dolce’s apology. Many in this industry have been following this case, Kamakahi v. American Society for Reproductive Medicine, for some time regarding whether or not the actions of the ASRM and its affiliate doctors were considered price fixing pursuant to the Sherman Antitrust Act or not. It looks as if it may go to trial next year. If nothing is beyond reach of the law, then we shouldn’t be surprised that the Sherman Antitrust Act is being invoked in a potentially game-changing California case centered on the price of … human eggs. Two women who object to the generally accepted $10,000 cap for an egg donation say the market should set the cap, not two professional fertility organizations that dominate donors’ compensation. If the women win, they will turn the fertility trade upside down. That has big implications for fertility clinics such as the one at Duke Medical Center and some 15 other providers in the Triangle area…. Legally, there is no cap on what a woman can charge for her eggs. In this respect, the United States is unusual among the world’s nations because it has allowed a market for eggs to thrive. It sounds off-key to haggle over the price of DNA, which is the core of the issue in the California case, but think about this brave new world. Should the price of an egg be capped at $10,000 by organizations that write the guidelines? Or should the price be determined by what the market will pay? The Sherman Antitrust Act suggests the latter, and I agree. What are your thoughts on this case? Read more here about Egg Donation Price Fixing Case. More and more women reaching their 40’s are turning to egg freezing in order to give themselves more time to consider having a family. Top Taiwanese model-actress Lin Chi-ling made the news recently after it was reported that she had frozen her eggs secretly at the National Taiwan University Hospital. Chinese actress Michelle Ye revealed that she has frozen her eggs, not once but twice to ensure she can have a baby at a later date, My Paper reported. 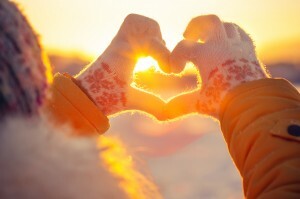 Read more here about Chinese celebrity women freezing their eggs. There are reports that now claim that “Test tube babies” are not that rare these days. The Centers for Disease Control and Prevention estimates that 1.5% of babies born in the US are conceived using what’s called Assisted Reproductive Technology (ART), of which the most common procedure is in vitro fertilization (IVF). Though thousands of IVF cycles are done every year in the US, it’s tricky to get a sense of an individual woman’s chance of conceiving with the procedure. Graphs from the CDC show exactly how often IVF resulted in a baby for women who went through the costly treatment using their own eggs, not donor eggs. A single IVF cycle costs an average of $12,400, according to the American Society for Reproductive Medicine (ASRM), and women often need multiple tries to get pregnant. A live birth rate of about 30% for IVF cycles is really pretty respectable. A healthy, fertile 30-year-old woman has about a 20% chance of getting pregnant without assistance every month that she tries, according to the ASRM. That decreases to 5% chance each month for women aged 40. For couples who try to conceive through IVF, a lot more is at stake financially, emotionally, and physically, even if the success rate is often better than the traditional method. While looking at the national averages for IVF success rates is a good start for dispelling misconceptions, pregnancy and live birth rates differ from clinic to clinic, and the data don’t tell the whole story. 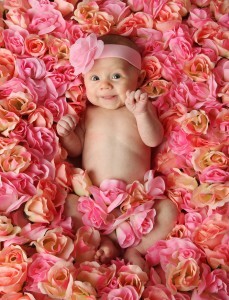 There are many different causes of infertility, and IVF does not address the direct problem for every cause. Only a doctor can say what chance IVF has of success for a particular couple. Read more good advice and information here for anyone considering IVF to create their family. 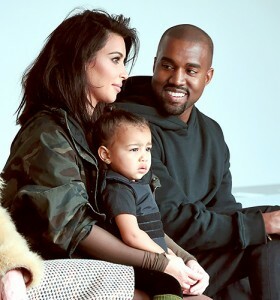 Conceptual Options Surrogacy News: Kim Kardashian is Pregnant – Hold the Surrogate! For those of you who have been watching all of the media attention surrounding Kim Kardashian and her quest for a second baby, even if it involved using a surrogate – we have good news! Kim K is pregnant. We congratulate her and her family on the news. And, we are happy that she and her family were willing to share their fertility struggles before the cameras. Conceptual Options Surrogacy: Kim Kardashian is pregnant again!